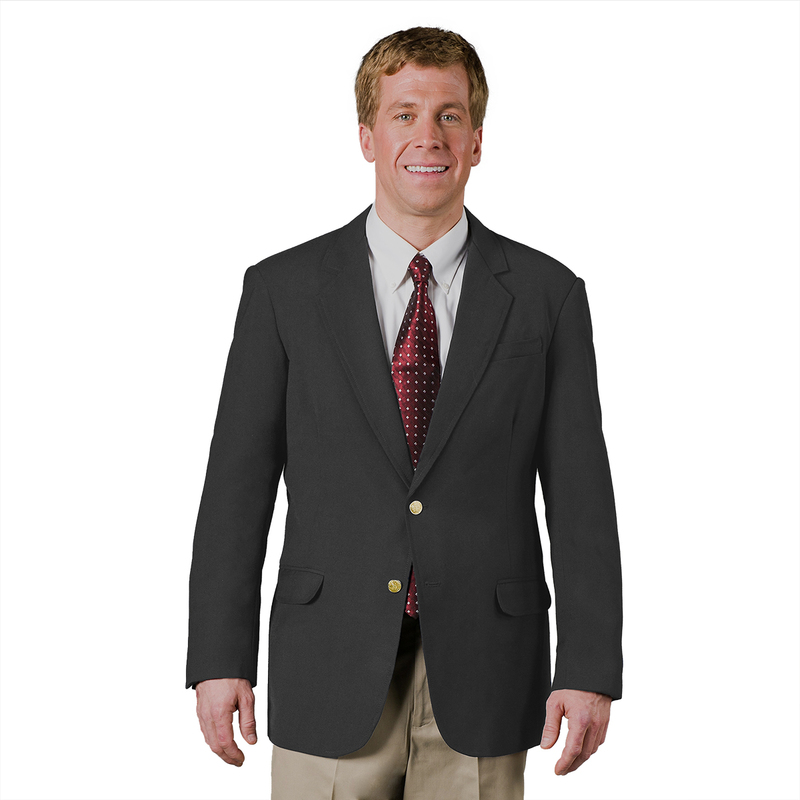 This is our Men’s Polyester UltraLux Blazer. 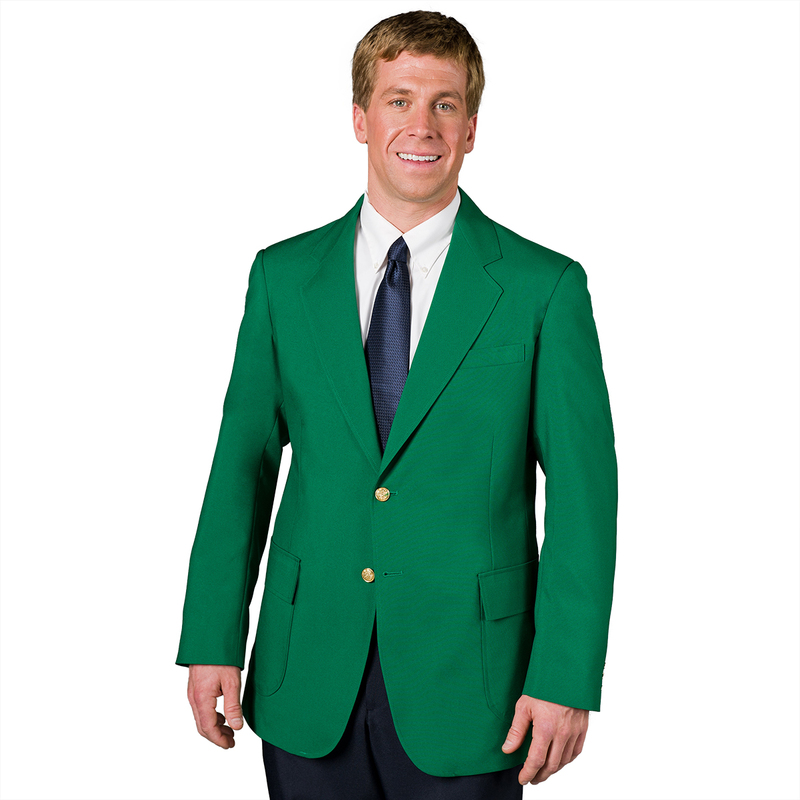 A durable, stylish blazer constructed with our signature washable 100% polyester fabric. 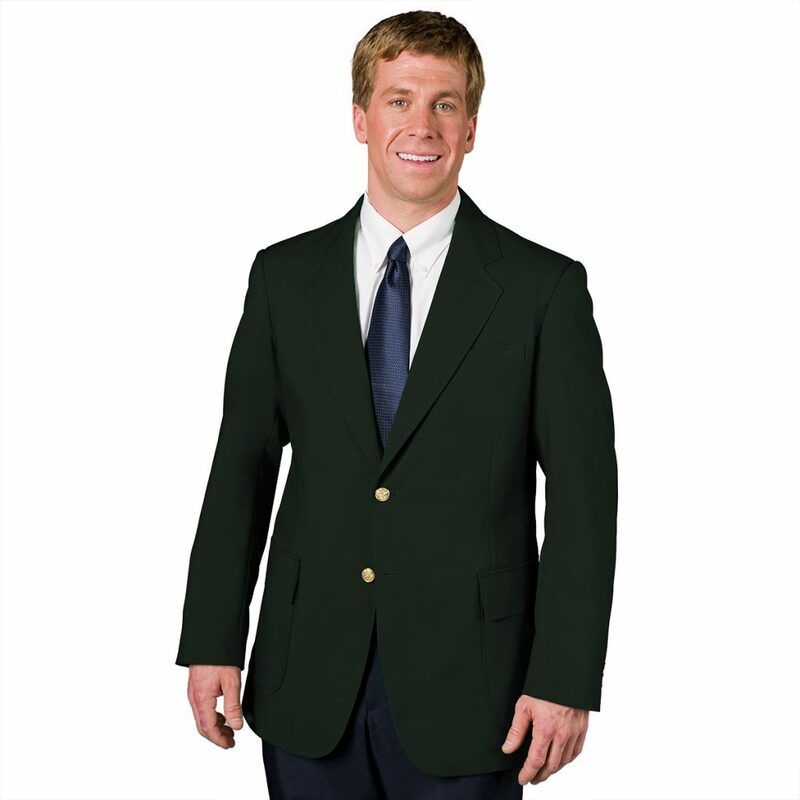 Each UltraLux Blazer features lower patch pockets with flaps, a top welt, 3 inside pockets, back vents, strong full lining & 2 gold-tone buttons treated with our Ascolite Button Security process. 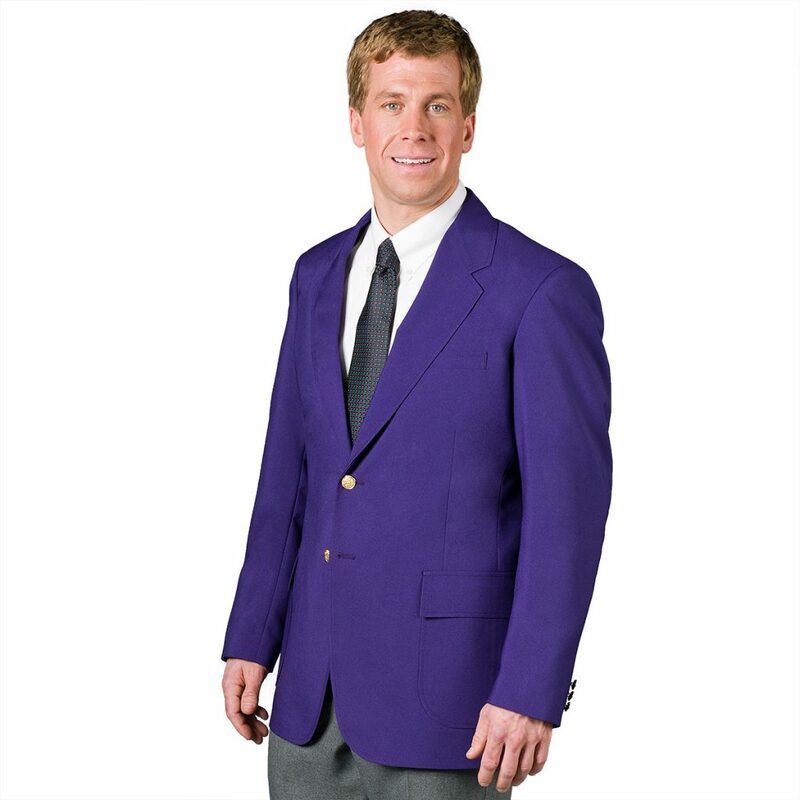 No more lost buttons! 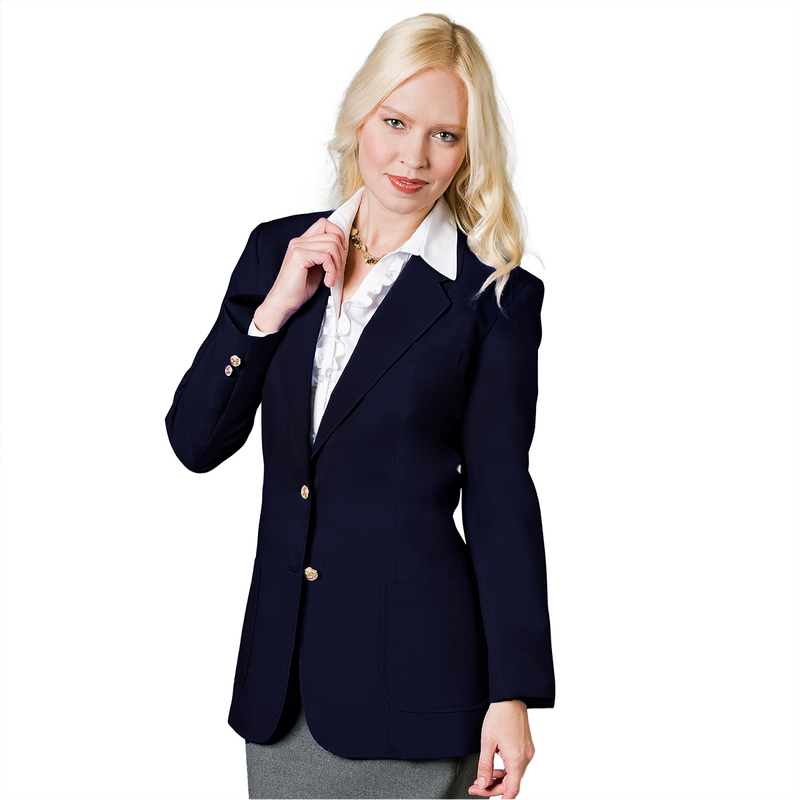 This versatile blazer is available in 5 traditional classic colors and 6 bright colors including our newest: Carolina Blue! 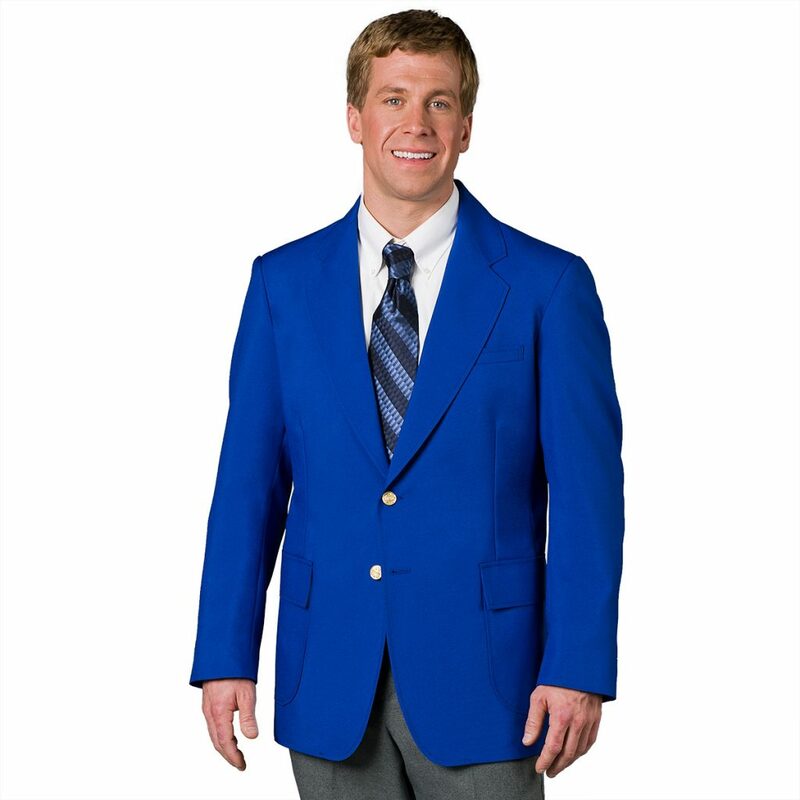 Carolina Blue is a iconic shade of light blue perfect for collegiate sports. 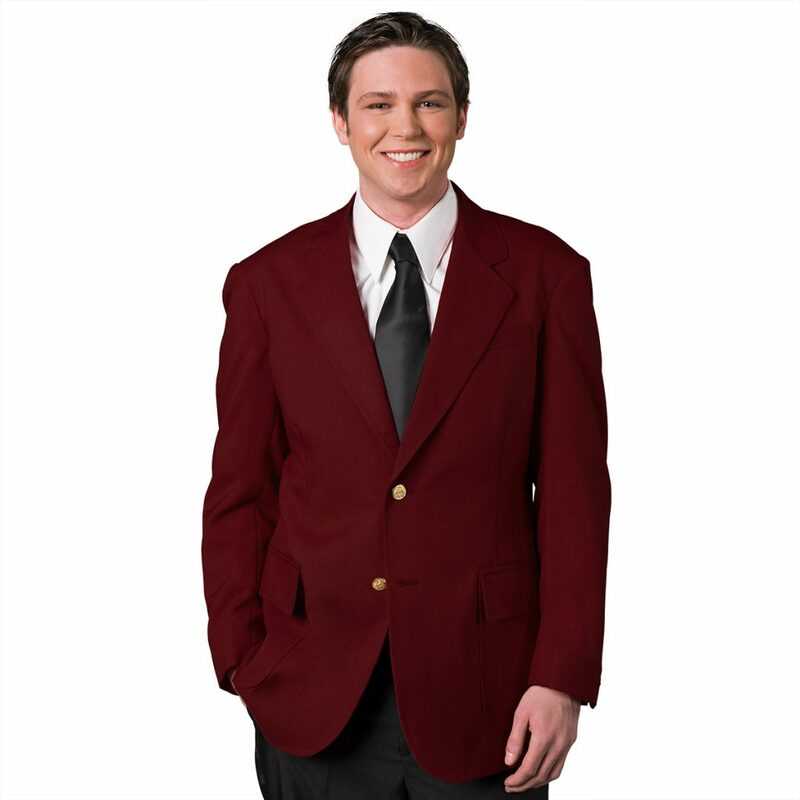 Choose from black, navy, burgundy, gray, hunter, kelly, purple, gold, red, royal and Carolina blue. 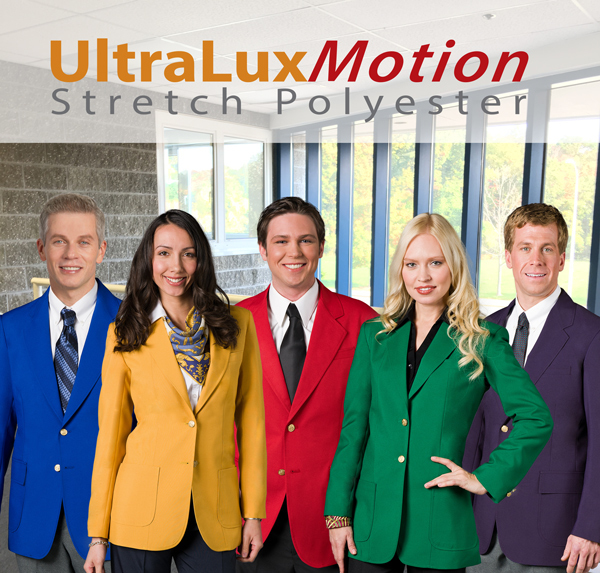 Our bright colors from the UltraLuxMotion Collection contain 4% spandex for high-mobility end-users. 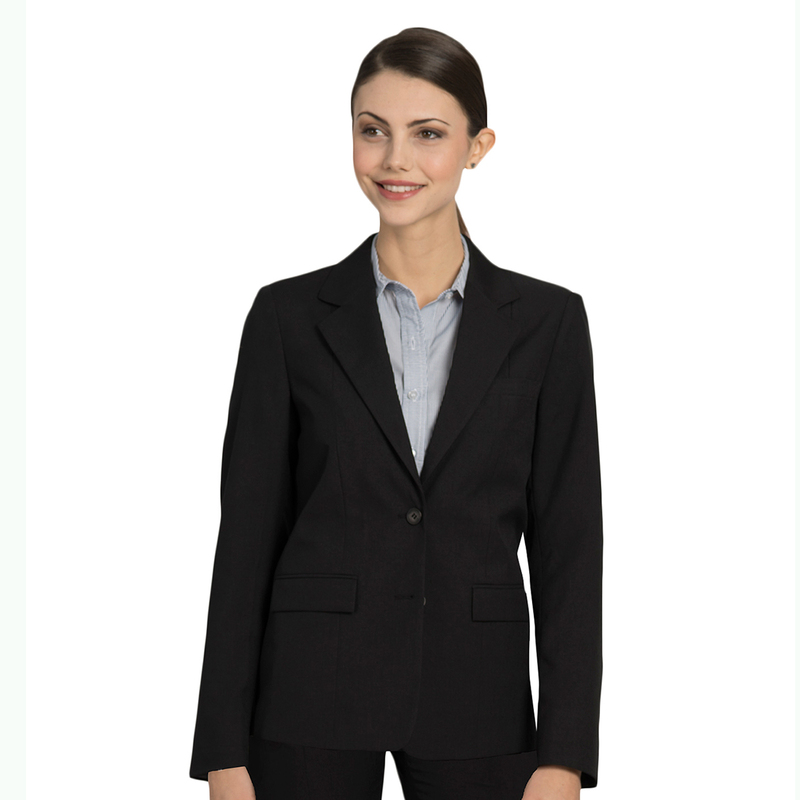 A great selection for any type of program from seriously professional to casual and playful. This blazer is machine washable so it will last a long time! 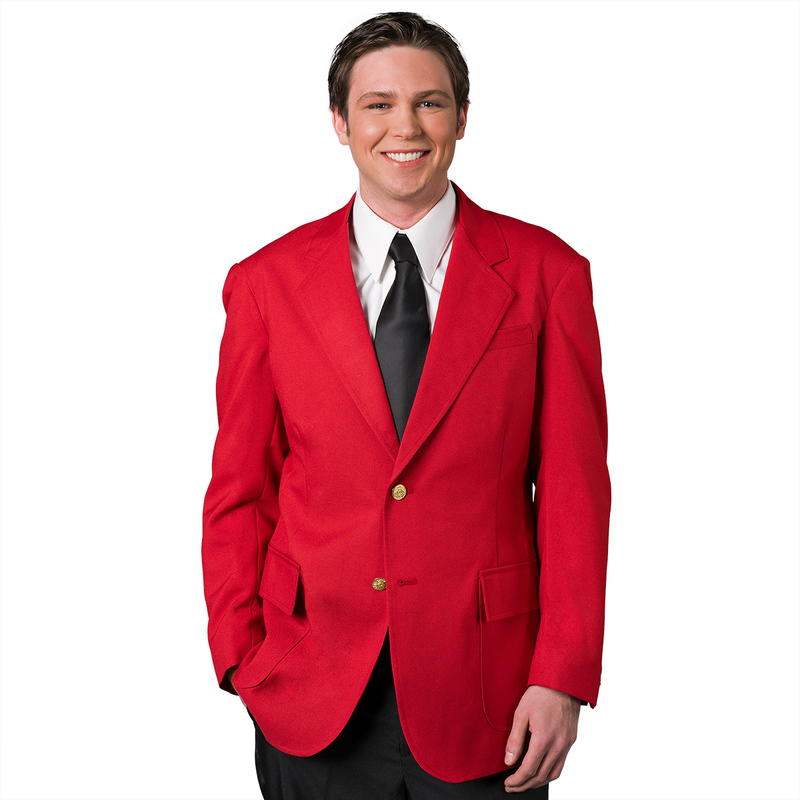 Tags: Bright Blazers, Classic Blazers, polyester, Stretch Polyester, Ultralux, UltraLuxMotion. 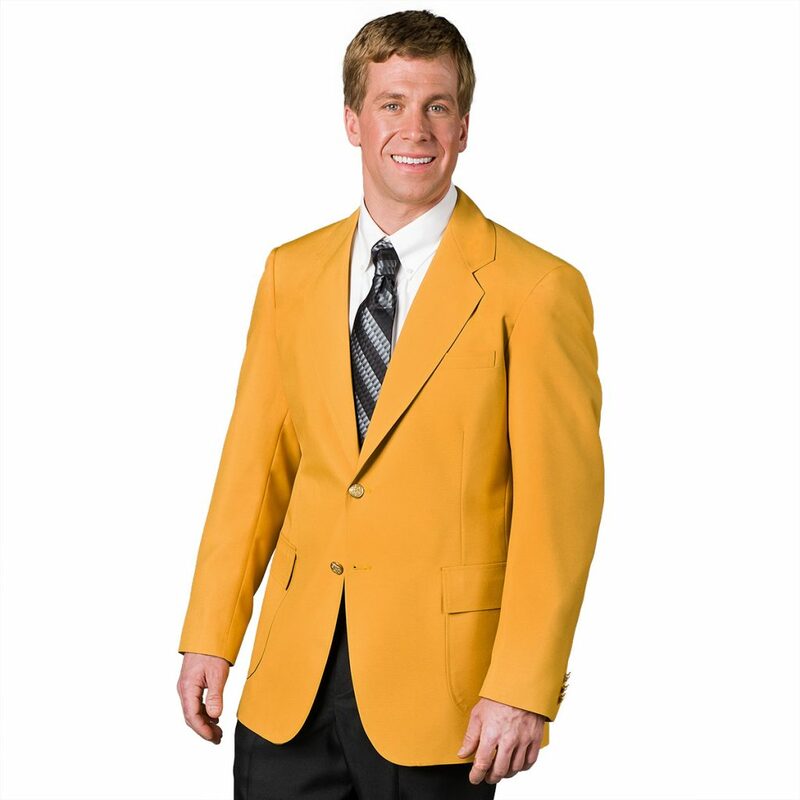 Pretty cool apparel…Looking to possibly suit out our football team for game days.